Is Irish America-disappearing? What factors impact on the relationship between Ireland and America? What lessons for us all can be taken from the case of Irish-America? Was Irish- America a critical partner in the Northern Ireland peace process? Interdisciplinary work combined with new research. Categories: Political History, Social History. This book explores the changing relationship between Ireland and America in the modern world. Its main themes examine the shifting patterns of Irish migration over time and the implications of these changes for the political and cultural relationship between the two countries. 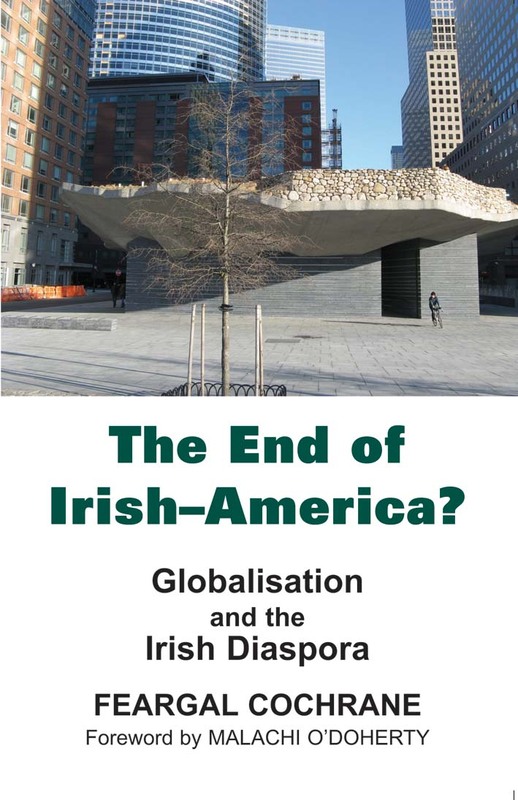 The central argument made in the book is that the historic connection between Ireland and America is at a transitional point, and that while Irish-America is not disappearing altogether, it is changing in fundamental ways, mediated by the forces of globalisation and modernity. Conceptually, the book focuses on Irish-America as an evolved diaspora, in the sense of being a migrant community that has moved into the political, economic and cultural mainstream within US society. The eight chapters examine theories of diaspora and migration in the case of Irish- America and bring together interdisciplinary academic literature with new research. A number of important issues lie at the heart of this book for all of us. Where do we belong? Why do we belong there? Does global modernity allow us to mediate between where we are from and where we live, to transcend territorial restrictions and live our lives beyond, or in between, the country of our birth? This book engages with all of these issues in the context of the evolving relationship between Ireland and America. Chapter Five: Paddy Power: The Evolution of the St Patrick’s Day Parade in New York City. Feargal Cochrane has a PhD from Queen’s University Belfast and is Senior Lecturer in the Department of Politics and International Relations at Lancaster University. He is currently Director of the Richardson Institute at Lancaster University. His work on Diasporas and migration extends beyond the Irish case and he is currently working with a network of scholars from across Europe and North America on a comparative analysis of the role of Diaspora groups in peace and violence. This is his fifth book.